In the late 1960s and early 1970s, Richard Brautigan was a counter-cultural celebrity, a writer that the would-be hip just had to read. The problem was that his fame did not rest on the considerable literary virtues of his work but, to a great extent, on a mediated image of cool hippie, which fell out of fashion in the mid-70s. This is the first book-length study of Brautigan in English for 30 years. Its purpose is to reclaim Brautigan's reputation. 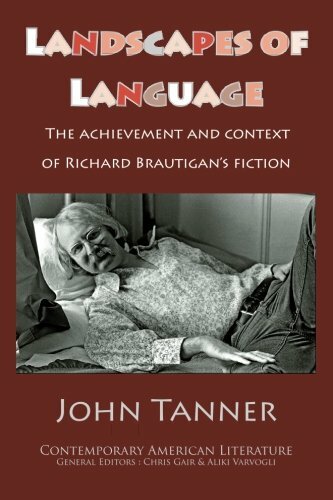 Dr. John Tanner analyses Brautigan's fiction against the background of the cultural and literary upheavals from which it emerged and demonstrates that Brautigan is no mere Sixties curio but an innovative and vibrant American voice ignored for far too long. John Tanner teaches English Literature and Creative Writing at Bangor University. He is an elected member of the Welsh Academy of writers and his poetry has appeared in various magazines, in the anthology The Lie of the Land, and in the collected volume of his verse, Pieces, both published by Cinnamon Press. If you have any questions about this product by Humanities-Ebooks, contact us by completing and submitting the form below. If you are looking for a specif part number, please include it with your message.